The following is a message from our Founder and CEO Tom Hooper to all Third Space Learning Schools this week. Today we work with thousands of children and hundreds of teachers every week. We work with schools of all different sizes, locations and needs. Their feedback has allowed us to learn a lot about how to deliver online teaching in primary schools and, over the last few months, we have been working on some big improvements, which we will be rolling out in 2016. It’s exciting stuff, so we wanted to share them with you. 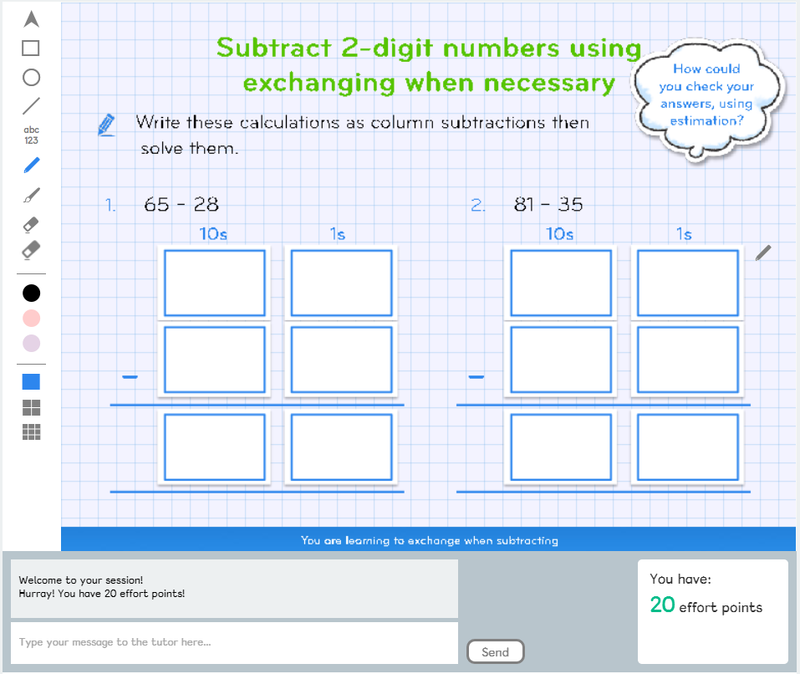 The feedback from our teachers is that we need to make it easier to set up and launch Third Space. In answer to this, we have built our very own classroom, which is now being tested in a handful of schools. We will be slowly rolling this out over the next two terms and collecting feedback to ensure its good design. We aim to deliver two benefits from this new classroom. Firstly, this will make it easier to set up Third Space and attend sessions – we are always aiming to make Third Space as easy to use as possible. Secondly, our new classroom will help to continue to improve pupil engagement through a wonderful learning interface that really brings each lesson to life. We want all of the thousands of children we work with to love every session (and Maths in general!). This is incredibly important for us and for you. We all need to understand pupil progress and this helps us to understand how the effectiveness of our online teaching techniques. We need to know what is working and what we need to improve. You need to be confident of the value we provide and to be able to report to your SLT, Governors and Ofsted on how you are using us (particularly in the case of the large number of pupil premium children we work with). 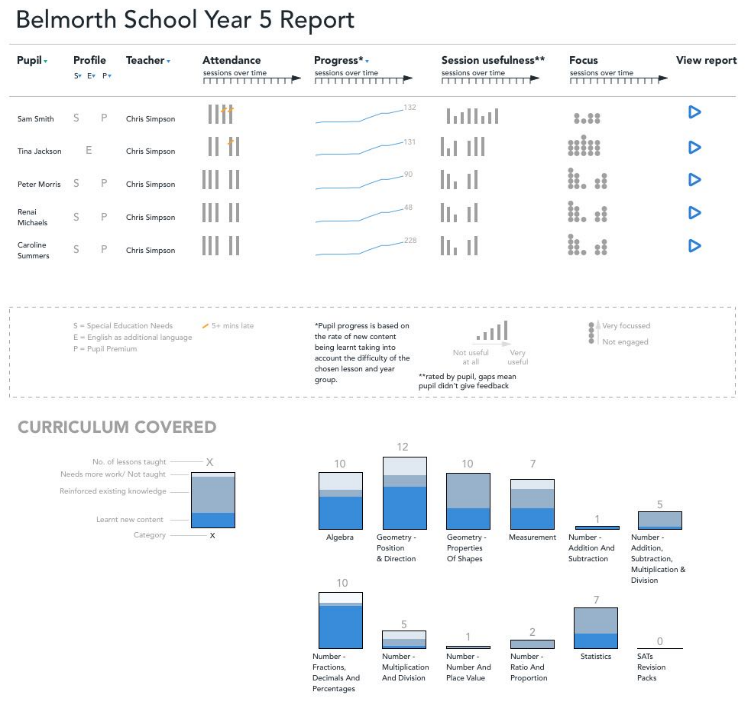 So, now we’ve more in-depth reports that provide schools detailed feedback on their pupils and classes. We aim to deliver pupil and class reports to you this term. Please do continue to provide us with feedback. We will only be our best with your insights. Enjoyed this? Read the first in our ‘Confessions of a Primary Headteacher’ series, The Secret to Primary School Leadership. Tom spends a nearly infinite amount of time building awareness and support for Third Space Learning in the education, social and technology sectors.